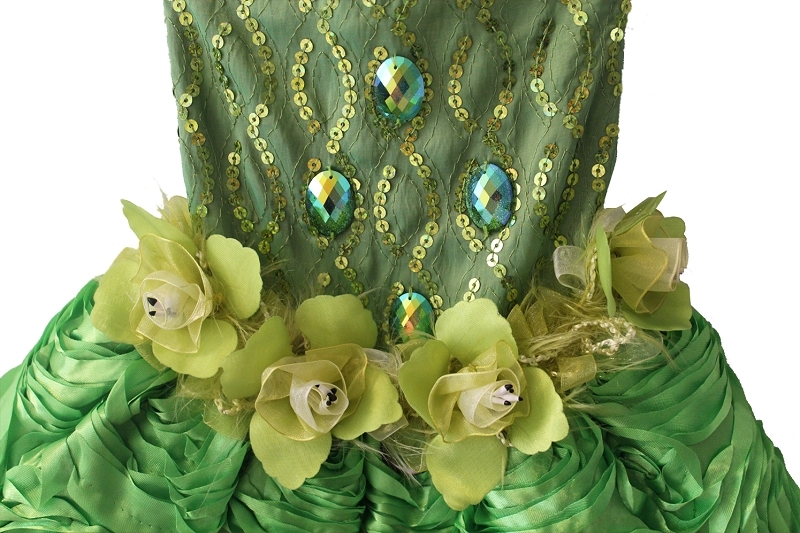 Bodice is made with gorgeous iridescent green taffeta with green sequin embroidery and adorned with beautiful gems. 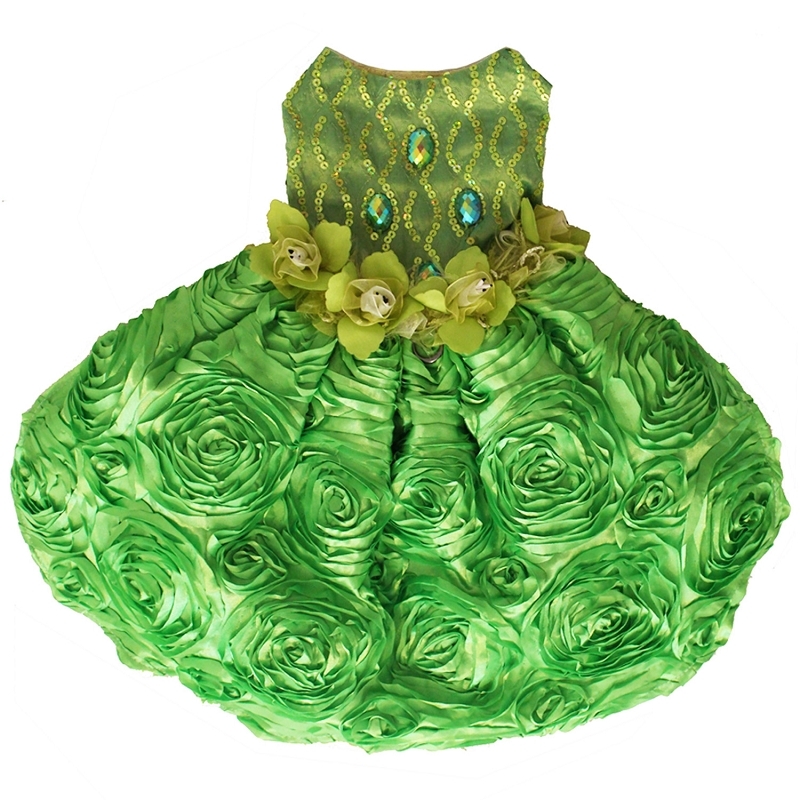 The skirt is made of key lime embroidered taffeta with layers of tulle and crinoline for added fullness. 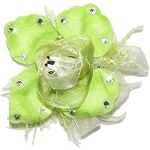 Waist is adorned with delicate orchid style green flowers and hidden D-ring at center. 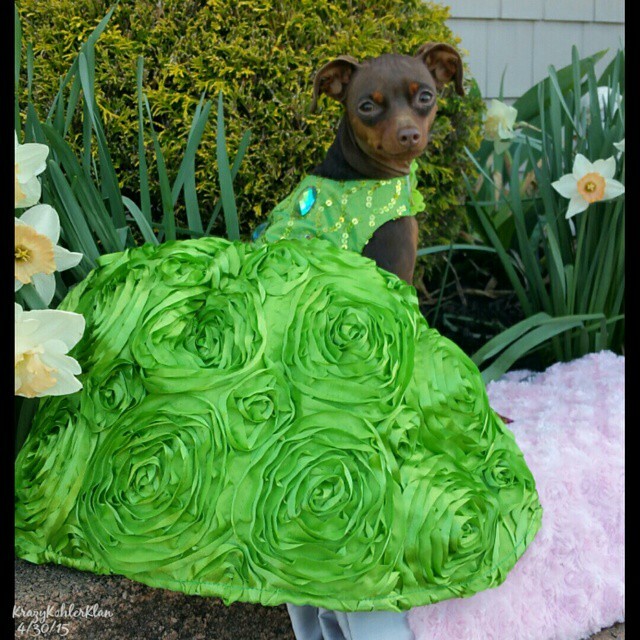 This is a gorgeous dress for pageant dogs looking to take a "bite" out of the competition. 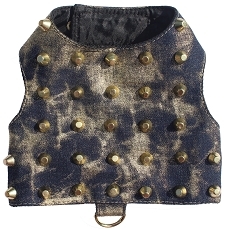 It also makes an excellent photo prop for your pet to wear for that next photoshoot. 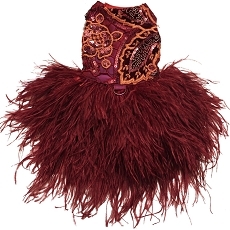 It is a limited edition Orostani Couture design. Order now. 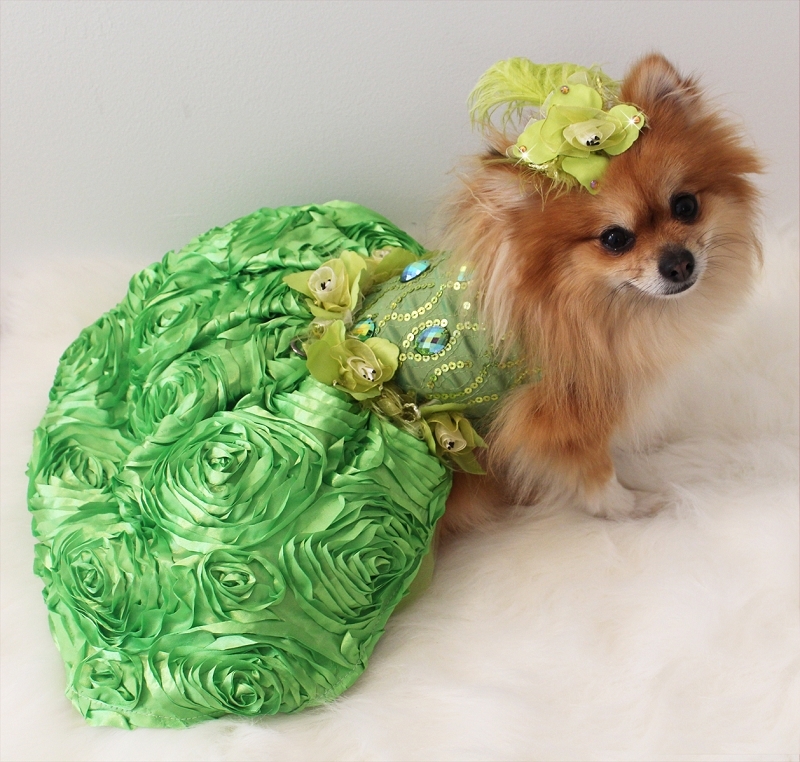 I purchased this Key Lime Green Sequin Taffeta Designer Dress for my furbaby Bella Rose, and let me tell you, this dress is TO DIE FOR! 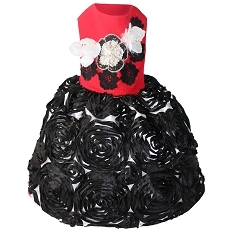 The pics do not do justice -- this dress is more beautiful in person! 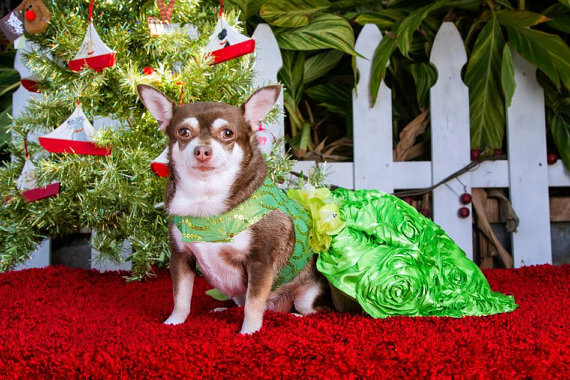 The dress fit my Bella Rose perfectly (like a glove), and the sewing is outstanding! 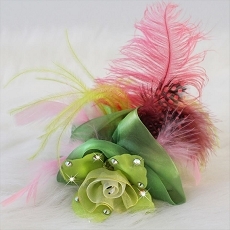 Miss Olga even made a matching hat and it is equally beautiful and made very well. 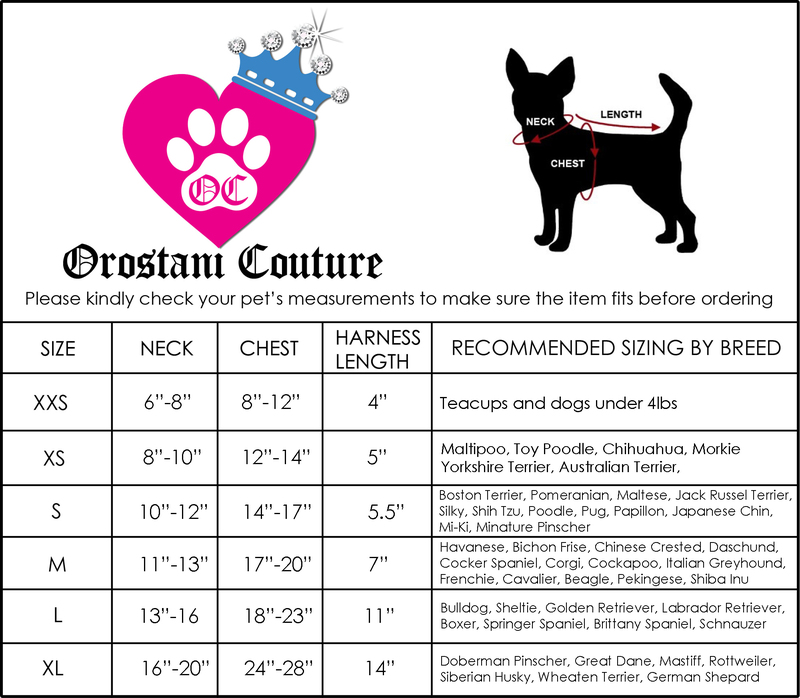 If you don't own a dress by Orastani Couture, you and your furbaby are missing out! 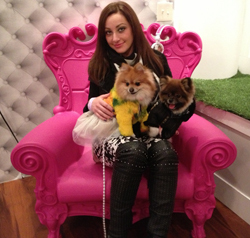 Thank you Miss Olga for this most elegant, beautiful dress for my Bella Rose. 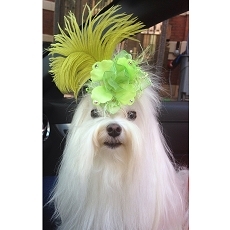 She will definitely be the Belle of the Ball come March at the Fur Ball! 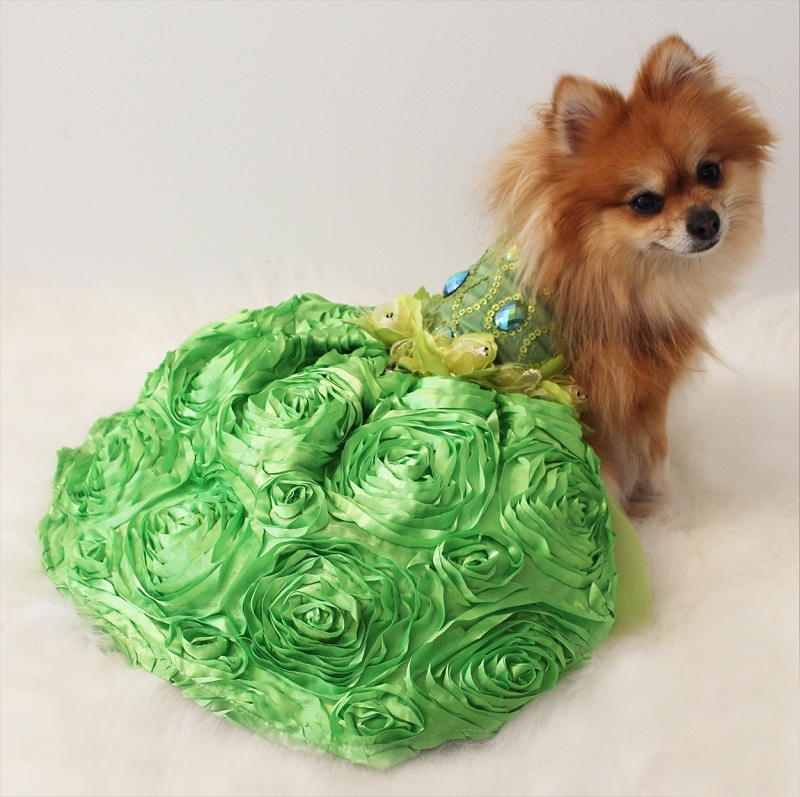 This dress is simply stunning!! 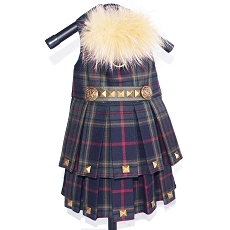 The material is of the finest quality and craftmanship unmatched!! 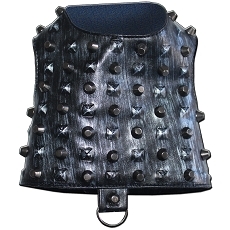 The shipping was fast and Orostani Courure is amazing to work with!! 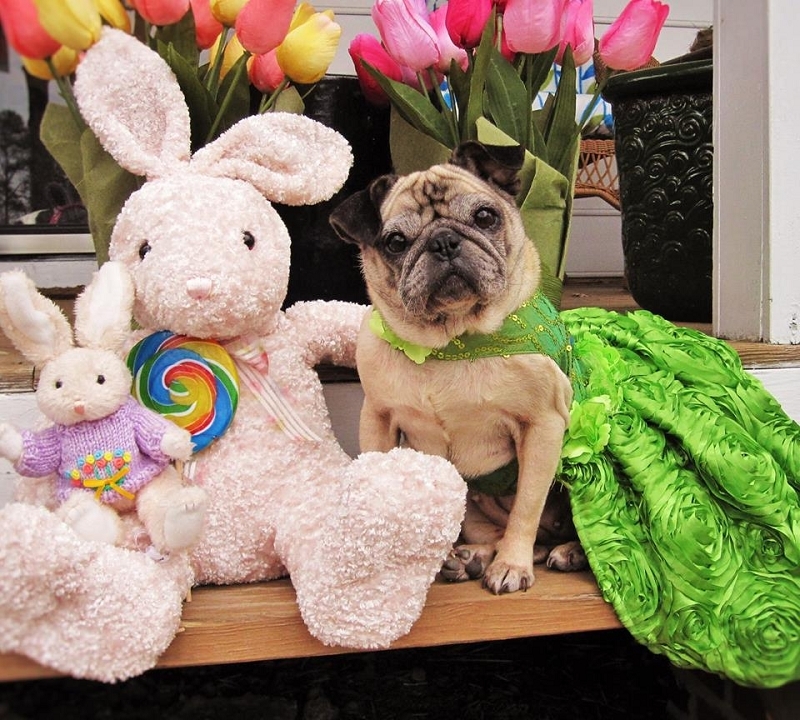 Thank you for another fabuelous dress! !